Sports Rendezvous: Amaju Pinnick: Ex-NFF boss emerges CAF's first vice president. 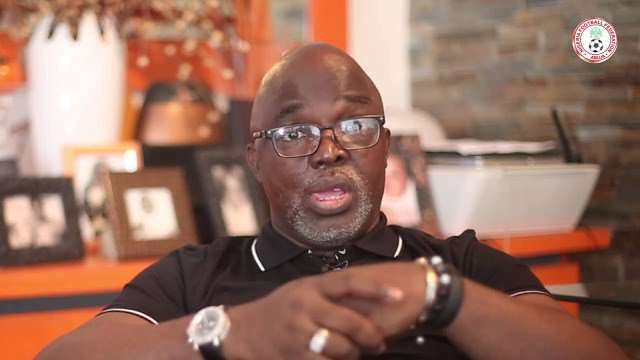 Amaju Pinnick: Ex-NFF boss emerges CAF's first vice president. Pinnick's appointment was confirmed on Thursday, July 5, 2018 in a letter by Amr Fahmy, the secretary general of CAF. Ousted president of the Nigeria Football Federation, NFF, Amaju Melvin Pinnick has been appointed the first vice president of the Confederation of African Football,CAF. Pinnick's appointment was confirmed on Thursday, July 5, 2018 in a letter by Amr Fahmy, the secretary general of the continental football governing body. In a letter dated July 5, 2018, the notice of Pinnick's appointment was sent to all football associations associated with CAF. The letter stated that after due consultations with the CAF Emergency Committee, Pinnick was found to be the best replacement for Kwesi Nyatakyi, who resigned his appointment as CAF first vice president.